Italy by US represents the evolution of the Living in Vicenza™ integrated web project, online since 2011. The headquarters is in downtown Vicenza. Founder and CEO: Roberto Cisco. Italy by US is aimed to assist the members of the American community stationed in the Vicenza area—and not only—in familiarizing with the new life, environment and culture. Italy by US has also the purpose to present what the local community has to offer as far as services, cultural and recreational opportunities, etc. 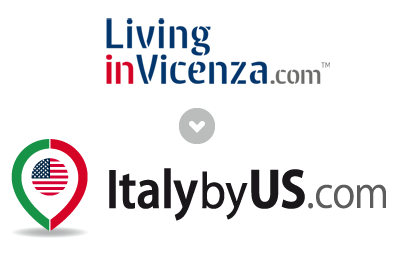 Italy by US is trying to consolidate as many resources as possible in order to become a one-stop point of reference for the local American community, publishing daily on this page, on the Facebook Page and on other socials. It has a commercial side where business can buy advertisement and target a specific array of customers. Italy by US involves individual municipalities to manage a dedicated page with town life tips, historical information, related cultural events and initiatives, etc. The idea is to create and consolidate an interactive tool to find and exchange information, tools, resources that can help the American families make the best out of their stay in Italy. The Department of Defense does not endorse, pay for, nor sponsor this product, nor any of the products or services provided by the businesses contained in this product.